Each month we take a little time to focus on energy-saving tips and techniques for the workplace or home. This month we’re going to change directions and provide an offer that takes care of a different need. We’re talking about convenience! With the growing use of mobile devices you’d have to search far and wide to find somebody that didn’t have a Smartphone, tablet or app-enabled gadget on them. We use these tools for entertainment, social networking, business and personal tasks throughout all hours of the day. They come in all sizes, shapes, and colors but surprisingly, most all still have one common trait… most all can be charged through USB connections. Such standardization is allowing companies that produce wall outlets and light switches to develop a new feature which is providing greater convenience to business and home users. Behold the USB outlet. This tiny innovation allows you to plug your selected device cord directly into the wall eliminating the need for the bulky charging plug-in, or collection of parts required for each device. 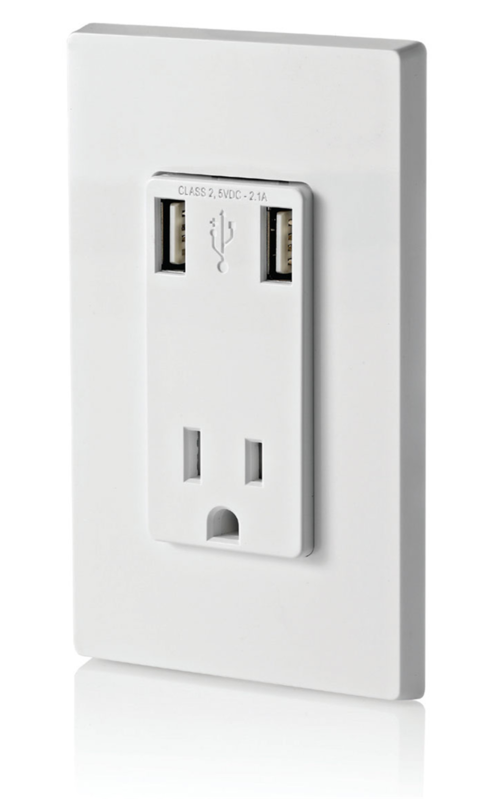 It even allows for continued use of a standard outlet, all packaged in a sleek stylish design. 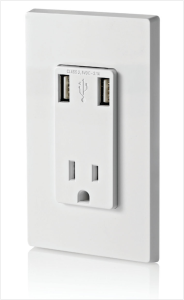 Jen Service is currently giving away one free USB outlet on every service call scheduled in March. Give us a call today to learn more about your options and to schedule service!